About us | Darrin Gray Corp.
Darrin Gray is a 3rd Generation Masonry Contractor. His grandfather, Owen C. Gray, started O.C. Gray and Sons around 1947. 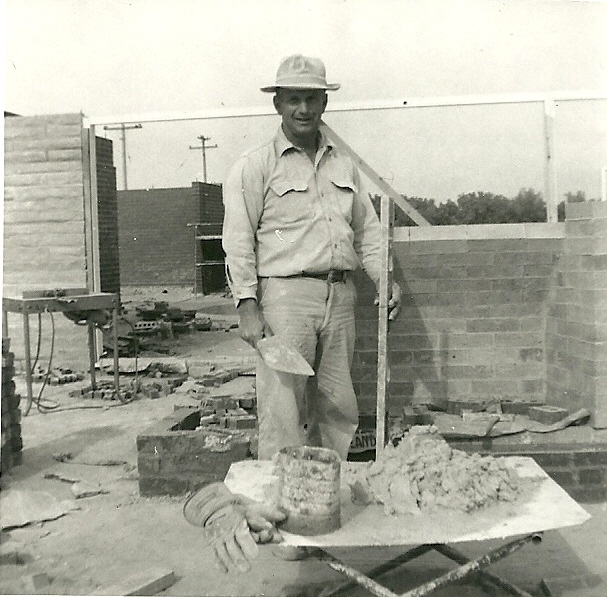 Darrin’s Father started Dale Gray Corporation Masonry in 1971 and retired in December of 1998. Darrin bought the business from Dale and started Darrin Gray Corporation Masonry in January of 1999. 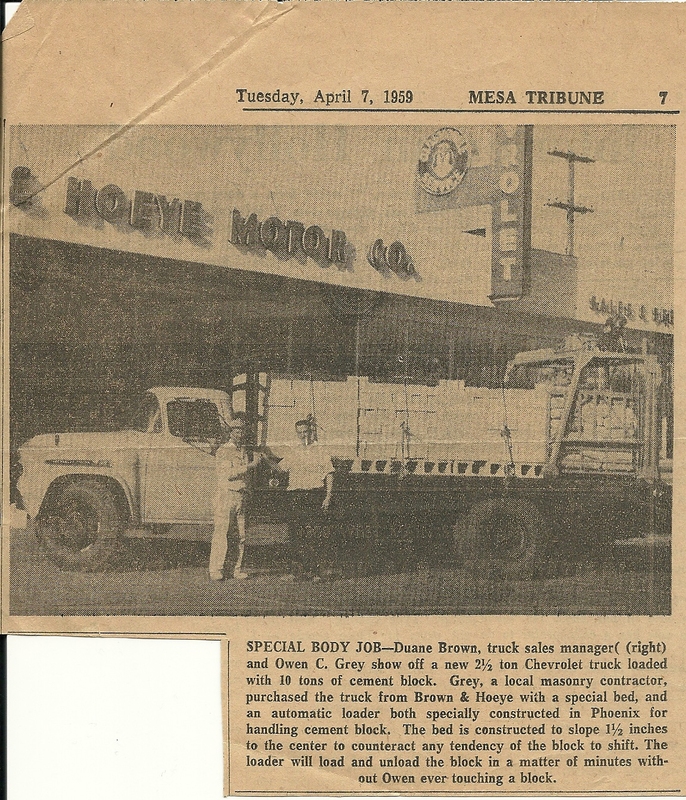 Darrin’s Grandad Owen C. Gray with a fireplace box he constructed circa 1960 in Casa Grande Arizona. 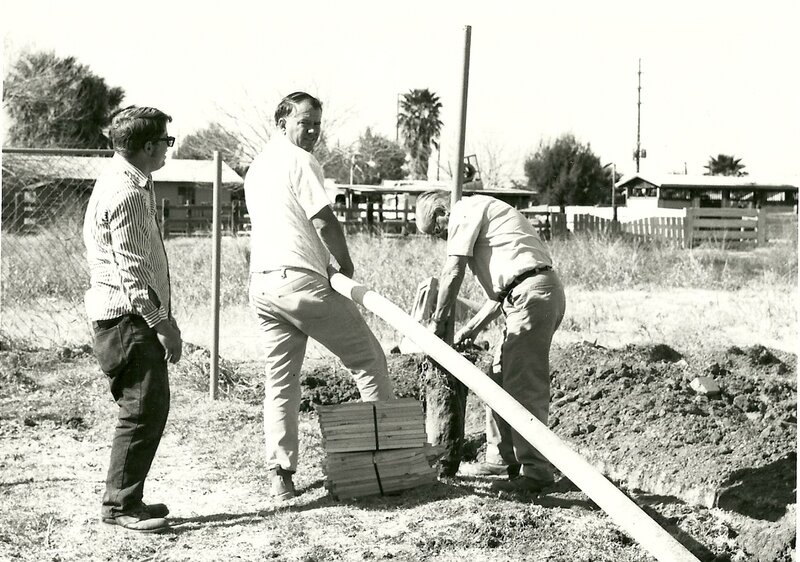 We have a long legacy of quality masonry construction in the Valley of the sun. 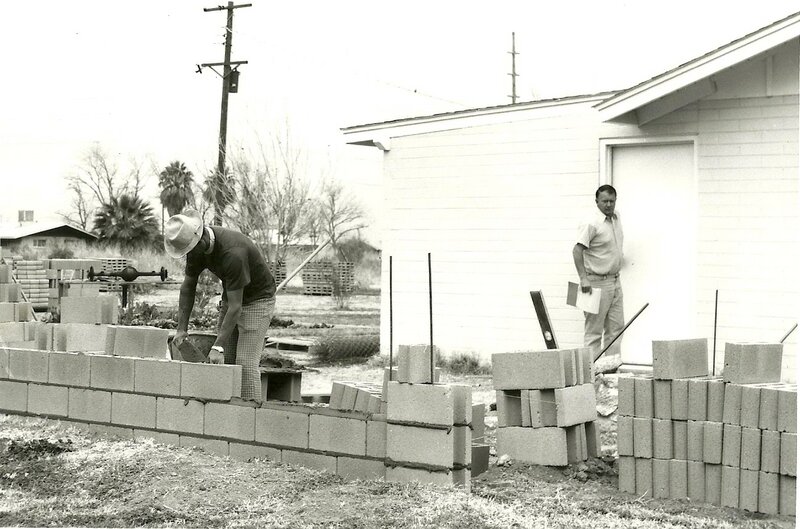 Dale Gray (white shirt) with his brother Dwain, trenching the footing for a Block Fence in the 1970s. 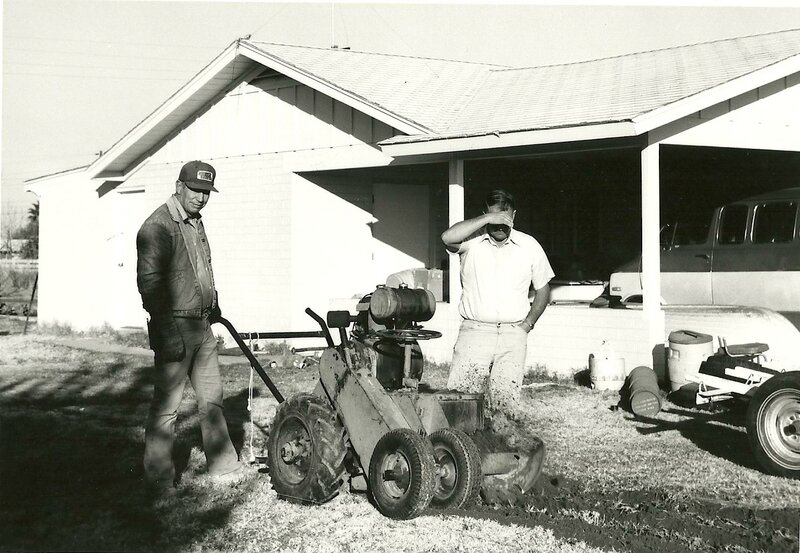 Darrin’s Uncle Dwain circa 1950 showing us how it was done in the old days. Darrin plumbing up a fence column in Lehi Arizona in 2008. Darrin doesn’t lay too many block these days, but one in a while he pitches in. 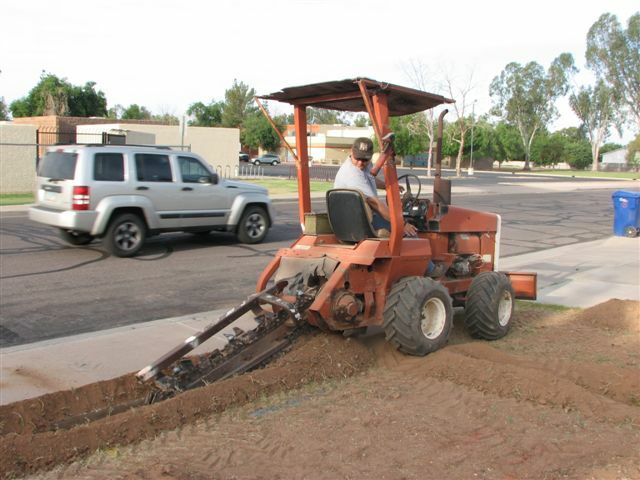 Darrin Gray, Oscar Rodriquez, Servando, and an onlooker pouring concrete for a fence footing in Mesa Arizona 2008. Love it! Thanks for posting these. It’s great to see Grandpa Gray and Uncle Dwain in action. What a Legacy we have!